I am travelling for a fair part of today and also taking a day off writing (well blogs at least). I have been pushing forward on the final manuscript for our next version of the Modern Monetary Theory textbook, which will come out in 2017 sometime. Anyway, until tomorrow I will leave you with some music that I have been listening to this morning before taking off for the day. Back on to the hard stuff tomorrow. First, is the very short (1:15) track – From the Rue Vilin – by one of my favourite Post Minimalist composers, Max Richter, which came out of his – Songs From Before – album in 2006. As is the case with most post minimalist pieces, and Max Richter’s playing in general, it appears to be relatively simple in construction. But try playing it on piano – it is a deceptively difficult composition to get the timing just right. 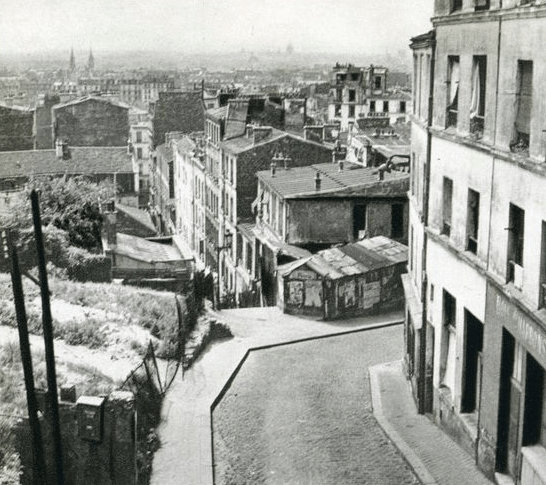 Try to match the sounds of the composition with the actual street in the 20ème in Paris, which inspired the music. 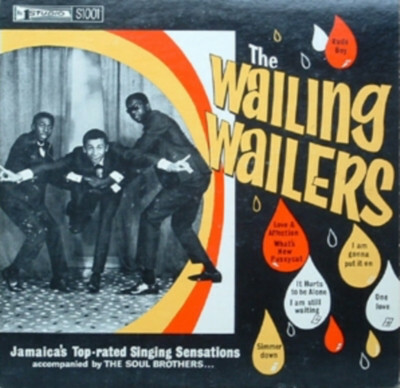 It was on the 1965 release – The Wailing Wailers – accompanied by The Soul Brothers. It was marketed as “Jamaica’s Top-rated Singing Sensations”. The Wailers were of course Bunny Livingston, Bob Marley and Peter “Tosh” McIntosh. The Soul Brothers who were the Studio One house band and featured on many of the 1960s rock steady/ska/reggae recordings were mainly jazz players trying to earn extra cash. They were originally the Skatalites (Roland Alphonso, Don Drummond, Tommy McCook, Jackie Mittoo, Lester Sterling, and Lloyd Brevett) but became the Sound Dimension in 1965 when trombonist Don Drummond went to prison for murdering his wife. Other musicians also joined the ‘group’. The tremelo on the guitar is beautiful. A true rock steady classic. Here is the original album cover which was only re-released earlier this year (May). The final track – Treasure Island – is from the 1977 Album – BJ4 by jazz pianist Bob James (his fourth), which was his last for Creed Taylor Incorporated (CTI). It exemplifies the modern jazz released from the CTI label 1970s-style. The syncopation and the guitar break (Eric Gale on a ES335) makes the track. Playing along are Steve Gadd (drums), Gary King (bass), Ralph McDonald (percussion), Hubert Laws (flute), Art Farmer (trumpet, flugelhorn) among others. With that lot you cannot go far wrong. A day of travel and music. Back to the grind tomorrow. All the best. Hadn’t heard that piece before but being a fan of ludovico Einaudi (can play a few of his pieces – badly!) I really enjoyed it. Best wishes to you too, Bill. I don’t know how you do it? Whole governments cannot put together in a month, the amount of sense that you write in one blog post. I am truly astounded at your unlimited capacity to disseminate knowledge, wisdom & understanding. Just finished “jamming” with the Bob James Track…….Great! didn’t know that one.